GABON 2017: CAMEROUN PUTS OUT SQUAD; 7 PLAYERS SAY HELL NO! La Republique du Cameroun has named its squad for the 2017 African Cup of Nations that is soon to kick off in Gabon January 14 and notable in the list is the absence of seven players who told the federation not to even put their names in the provisional squad. 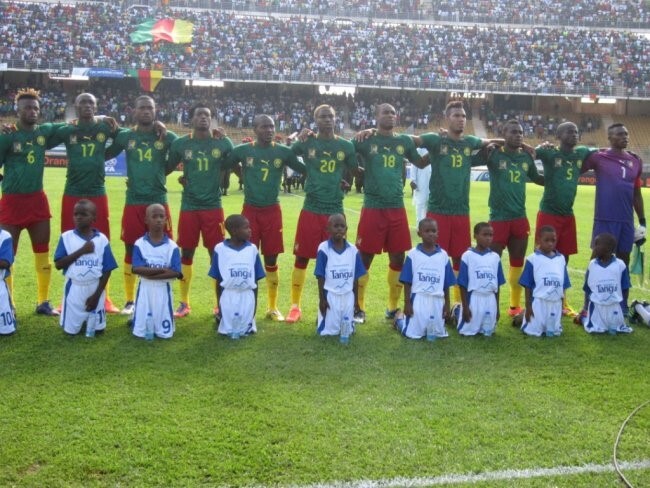 Full Cameroon squad: Ondoa, Goda, Mbokwe, Mabouka, Nkoulou, Oyongo, Djeitei, Collins, Ngadeu Ngadjui, Teikeu, Ngwem, Siani, Mandjeck, Djoum, Boya, Aboubakar, Moukandjo, Zoua, Salli, Toko-Ekambi, Njie ,Ndip Tambe, Bassogog. Amongst the most vocal of the group refusing to represent La Republique du Cameroun is Liverpool ace defender Joel Matip who joined the Premier League side on a free transfer from German Bundesliga club Schalke. He cited as reasons for his strike a “bad experience” with the previous coaching staff, a Fecafoot official told the press. Joining him in refusing the call up is another Premier League player, Allan Nyom, West Brom’s right back, who told Cameroun’s coach that he will not accept a call up because he wants to maintain his spot at his club. The others are Andre Onana (Ajax Amsterdam), Guy N’dy Assembe (Nancy), Maxime Poundje (Girondins Bordeaux), Andre-Frank Zambo Anguissa (Olympique Marseille) and Ibrahim Amadou (Lille). But at the time of filing this story, no discernable actions have so far been taken against these players. In fact, potential club versus country row has been defused by their non-selection in the final squad, something that the coach could have done to make it so that the players become ineligible to play for their clubs during the time of the FIFA sanctioned event they refused to participate in. This entry was posted in Sports, Trending. Bookmark the permalink.